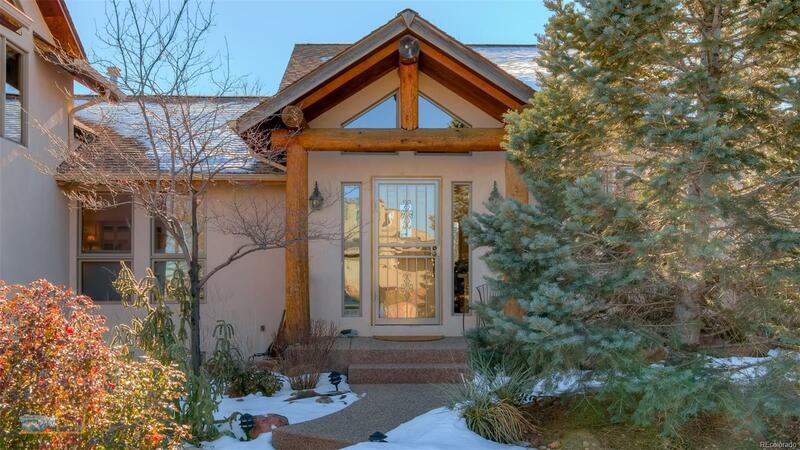 Exceptional mountain views from this wonderful south Boulder home in a much sought-after neighborhood. Open concept, soaring ceilings, bathed in natural light, windows galore. South facing deck, patio, backs to private open space corridor. Nicely appointed with southwest styling, rustic touches. Master retreat w/ huge loft, view balcony. Abundant storage. Lower level rec room w/ wet bar. Solar PV-owned. Workshop off garage w 220v. 3rd BR (lower) is currently an office. Near miles of trails, South Boulder Rec Center, bus. Close to shopping and dining. Eligible for Neighborhood ECOpass.